We all know that a therapeutic massage feels great, but for many of us a massage appointment is relegated to the ranks of occasional indulgence – a special occasion when it’s acceptable to splash out on a guilty indulgence. In fact, nothing could be further from the truth. Engaging in a regular massage therapy routine is an important part of a good preventative health plan, and there’s research to prove it. Probably the most obvious benefit from a regular massage regimen is that it releases anxiety and calms depression. Chronic tension headache sufferers report a decrease in the frequency and severity of their headaches after engaging in regular massage sessions. It will also counteract all of that sitting we tend to do now, which goes hand-in-hand with what’s known as postural stress. Desk workers are especially prone to holding that stress in their shoulders and neck area, but it may also show up as lower back pain. And speaking of lower back pain, the American College of Physicians just released new guidelines for doctors recommending therapeutic massage as one of the first line treatments for chronic back pain before prescribing medication. It’s just as effective and has virtually no side effects to consider. 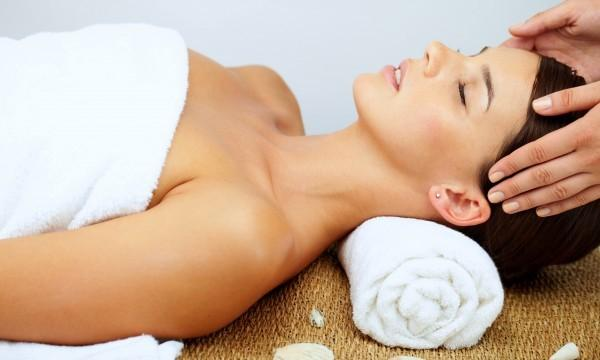 Massage therapy also improves circulation, and that in turn eases muscle pain throughout the body. That improvement in circulation also helps boost your white cell count, something that’s vital to boosting your immunity to everything from seasonal colds and flu to more serious infections like HIV and chemotherapy patients. A follow on result from both the improvement in circulation and the lower stress and anxiety levels is the marked improvement in sleep patterns. Whether you’re a type-A worker or someone suffering from a chronic illness, sleep really is the best medicine. Staying healthy and strong is the foundation of looking your best. Here at Salon D’Artiste, we offer a range of massage therapies and treatments designed to do just that. For an appointment, call us on 610.687.2020 or come see us at the salon at Eagle Village Shops at 205 Lancaster Ave. #2 in Wayne. Want to make an appointment instantly? Use our app – it’s available through the Apple Store, GooglePlay, or Amazon.